The Top 10 Retail Banking Trends and Predictions for 2014 are compiled from more than 60 global financial services leaders including bankers, credit union executives, industry analysts, advisors, publishers and editors, bloggers and fintech followers. This year's list runs the gamut from a continuation of past trends to the introduction of new trends in delivery, payments, competition, operations, customer experience and marketing. Prioritization of these trends may differ by institution, but none should be ignored. 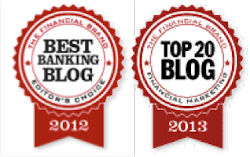 For the third year in a row, I have reached out to global leaders in the financial services industry to ask for their thoughts around upcoming banking and credit union trends and predictions. As in the past, the response was overwhelming, with more than 60 responses. The emphasis of this compilation is mostly North America, but most of the trends are global thanks to responders from the U.K. and the Asia Pacific region. While everyone had their 'favorite' trend, and some provided a personal top 10 list, I consolidated their thoughts and came up with trends that were considered the most important. Two significant trends that are not listed, but impact virtually every trend discussed, are the omnipresence of previous and upcoming regulations as well as the continued investment in new technologies to make this year's trends a reality. Two trends that may prove important, but got less than expected mentions were the underbanked and alternative currencies like BitCoin. All of the contributors did concur, however, that a guaranteed prediction for 2014 is that disruption will continue at an unprecedented pace and that the industry will look different this time next year. The following infographic is a graphical representation of top trend and prediction terms provided by the contributors to this year's report. The size of each word represents the prominence of terms from the industry leader submissions. No trend has impacted the financial services industry as much or as quickly as the drive-to-digital. In fact, according to two recent reports from Accenture, 35 percent of banks' market share in North America could be in play by 2020 as traditional branch banking gives way to new digital players. The research also indicates that 15 to 25 percent of today's roughly 7,000 North American financial institutions could be gone as a result of consolidation before 2020. With the rapid expansion of ownership of smartphones and tablet devices, today's consumer wants to be able to research, purchase and manage their financial services on demand using the device(s) of their choice in virtually any location. Reinventing the financial services purchase funnel, the way people conduct daily banking, the delivery of insight, and the interaction between channels, the drive-to-digital will provide both opportunities and challenges for financial insitutions of all sizes. "In 2014, we'll see greater experimentation in new products and revenue build around mobile, web and social commerce," according to Moven CEO Brett King. "We’ll also see the emergence of Drive-to-Digital competing with Drive-to-Branch. Mobile and web have all been about brochureware and transactional services to this point – finally we’ll start to see a concerted effort to revenue fulfillment digitally." 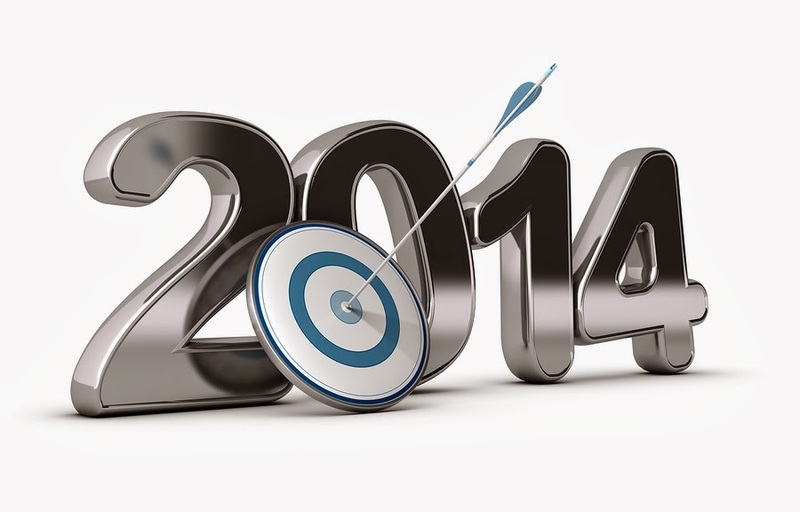 Bryan Clagett, chief marketing officer at Geezeo also believes it will be the 'year of the digital bank' in 2014. According to Clagett, "There will be a realization that channels are owned by consumers, and not banks, and thus must meld into a digital experience that exists seamlessly regardless of channel or device. The silos of traditional retail delivery channels will begin to erode and a more holistic approach to a digital banking experience will take hold." "In a mobile-first environment, banks will begin to support more complex types of functions and transactions on the small screen, new forms of authentication that better balance security and convenience, and more relevant, contextual information delivery via alerts, push notifications, and other forms of messaging, predicts Bryan Yeager, financial institution analyst for eMarketer. "Banks will also likely promote mobile banking to an older, more risk-averse cohort than in the past." An example of this more complex integration is provided by Stessa Cohen, banking industry analyst and research director for Gartner , referencing a recent report entitled, 'The Best Thing to Do With Your PFM Tools May Be to Get Rid of Them', "Driving revenue for banks will require that personal financial management (PFM) tools evolve to become true digital personal financial advisors (DPFAs). These digital advisors will use a customers' own data and other business intelligence to learn about a personal financial habits. It will enable the bank to proactively help the customer perform the intermediate steps involved in accomplishing short- and long-term personal financial goals." 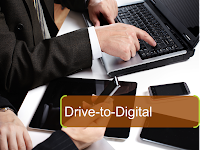 The drive-to-digital will impact all areas of the bank and all levels of customers in 2014. April Rudin", founder and CEO of The Rudin Group predicts, Fewer private banks will have street addresses and more will have IP addresses – HNW clients want the bank to come to them." Chris Skinner, chairman of the London-based Financial Services Club and author of the book Digital Bank believes banks may begin to move beyond traditional mobile in 2014 embedding services in devices, citing the advances by Banco Sabadell with Google Glass Banking and Westpac's Smartwatch banking app. Alex Bray, retail channel director at U.K. based Misys agreed with Skinner saying, "I believe Google Glass will drive a whole new device category for banking. Customer value propositions and bank's transaction, marketing and sales processes will have to adjust accordingly – just as they did for mobile banking." He also believes the appearance of thumb print readers points to a more biometric future for retail banking in 2014. "We will see easier payments and quicker sales processes – further underlying the drive-to-digital." Realizing that not all banks even have mobile banking yet, Bryan Yurcan, reporter and editor for Bank Systems and Technology recommended, "If I'm a tiny community bank and I don't even offer mobile banking, I would set out to do that. The point being, as consumers continue to become more comfortable conducting transactions online, I want to at least keep up with what they expect from a mobile experience in other industries." It is virtually impossible to keep track of the new players hoping to disrupt the payments marketplace. With so many steps and interactions in a normal P2P or retail payments process, there is no shortage of players trying to grab a piece of the payments pie. And for good reason . . . since the scale is so large. For instance, FIS, the company atop this year's FinTech 100 list, moves more than $5.5 trillion annually (which is larger than all but three of the larges economies in the world). 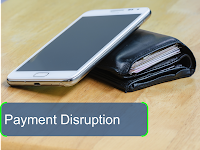 Of greater consequence than the loss of steps in the payments process to non-traditional players is the potential impact of losing the insight connected with payment transactions. 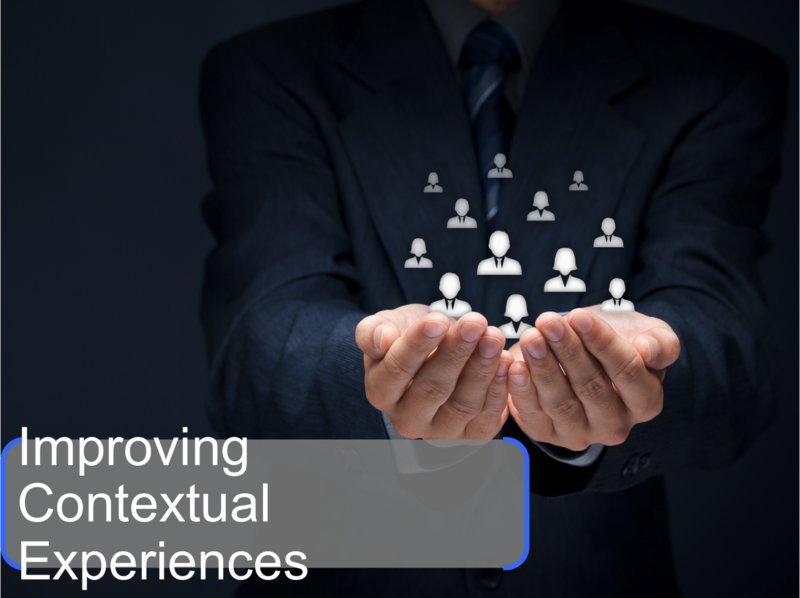 This 'big data' is the crown jewel of the overarching financial relationship and the foundation of a contextual customer experience and future loyalty. Dave Birch, director at U.K. based Consult Hyperion says, "In the next year, I think technology will continue to drive competition in the payments space, with the emergence of new competitive structures based on APIs." He continues, "Nobody really knows how this will pan out, but that's what makes it fun." "The move to create a joint standard for tokenization of payments credentials will create new opportunities for payments improvement in the digital realm," offered Dominic Venturo, chief innovation officer for payment services at U.S. Bank. He also wasn't the only contributor who believed BitCoin will continue to get buzz and maybe additional traction in 2014. Zilvinas Bareisis, Senior Analyst at Celent believes that payments will take a backseat to the overall purchase experience, with merchants continuing to launch their own apps. "All payments players will focus on engaging the customer early and throughout the shopping cycle," says Bareisis. "In 2014, it will be even more important for banks to make sure their issued payment instruments are used to facilitate transactions." "I think real-time payments (or at the very least real-time notification of said payment) need to become a reality," offered Paul Amisano, vice president of electronic money movement and emerging payments at BB&T. "Banks need to work together on this for it to happen, but I think the pressures they are all facing from regulatory bodies and non-financial start-ups may be the best thing that ever happened for bank "coopetition" - see clearXchange for a glimpse into what could happen if banks work together, and most importantly, KEEP IT SIMPLE." Cherian Abraham, Mobile Commerce and Payments Lead at Experian Global Consulting, is most concerned about the impact of courtroom battles in 2014, citing the interchange settlement in front of Judge Gleeson in Brooklyn and the NASC v Board of Governors of the Federal Reserve. "The rulings will have a domino effect – starting with severely impacting the economics around debit." "Payments (especially mobile) will reach a critical mass with Apple, Paypal, Square and Google providing some attractive use cases for both consumers and merchants using technologies like iBeacon, Beacon, Real-time P2P and HCE emulation," offered Deva Annamalai, SVP of marketing technology and data insights at Zions Bank, "The player(s) who play nicely with the card providers and FIs by sharing data will definitely see more traction in the market place," he added. Alex Jimenez, SVP of Rockland Trust agree. "We’ll start to see the eventual winners of mobile wallets clearly emerge. Personally, I think that Apple, Amazon, Visa and MasterCard will be the leading providers while ISIS, PayPal, Google and others will falter. I also think Apple and Amazon will finally make their wallet plays in 2014, with Amazon being first." David M. Brear, principal consultant at Infosys Lodestone in the U.K. sends a cautionary note regarding Apple, by predicting, "Apple will finally get into the payments space in 2014, and all hell breaks loose with banks beginning to be disintermediated from their customer data." Veteran banker P. Andrew Will, formerly from Norwest, Wells Fargo and BMO Harri points to the rollout of EMV chip enabled cards (particularly in the second half of 2014) in advance of the October 1, 2015 POS liability shift date in the U.S. He also foresees other new innovations in the payments space as transactions become more mobile and less card based. 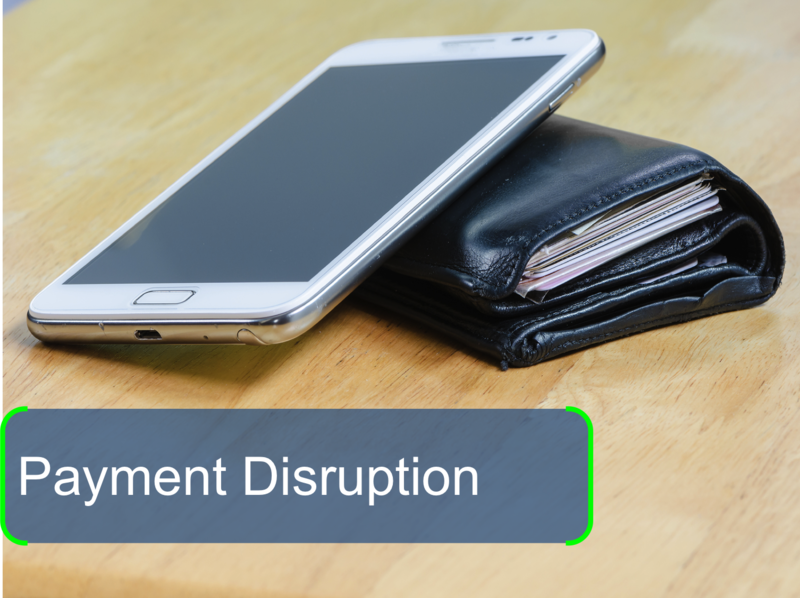 A somewhat sobering thought came from Starpoint LLP partner and payments industry investor Tom Noyes who believes that banks will begin to realize that they are not in control of mobile payments and can not force the use of credit cards. "Payments are NOT about banking," Noyes stated. "Payments are only the last (and easiest) phase of a long commerce process." In 2014, the trusted role of banks and credit unions as the collector of funds, provider of loans, processor of payments and advisor of financial relationships will continue to come under fire from non-traditional players including new financial organizations (neobanks), hardware providers, third party payment processors, and mobile app developers that merchants and consumers are using to chip away at the traditional financial services model. And as anyone who attends Finovate knows, crowdsourcing options for investment and lending are just a regulator's approval from going mainstream. Jim Bruene, founder of Finovate and publisher of the Online Banking Report boldly predicts, "Debt crowdfunding (aka P2P lending) will become hyped in 2014 with Lending Club going public in potentially the biggest fintech startup IPO of all time". He continues, "The alt-lending sector will begin to be taken as a serious competitive threat to mainstream lenders with an outside chance that one or more mid-size or larger financial institutions will begin offering P2P lending services of their own." Serge Milman, principal consultant of SFO Consultants warns that while personal financial management (PFM), mobile, P2P and other 'things that glitter' will continue to receive buzz, most community and regional banks and credit unions will be unable to benefit from these solutions. He recommends proactivity in pursuing these opportunities. "It strikes me that a number of conversations have shifted from the 'big vs. small' to 'smart vs. stupid,' stated Al Dominick, managing director and EVP at Bank Director. "That is, leadership teams that both identify and implement innovative strategies and tools have a chance to more realistically compete with the BofA's of the world." Banks and credit unions that take a fast follower position can also leverage innovation of neobanks and non-banks or can invest in the best customer engagement and new product development advances, eliminating the need to build from scratch. Current branch-based distribution models are no longer sustainable and are unable to meet the rapidly evolving customer needs for real time access and simplicity in banking interactions. 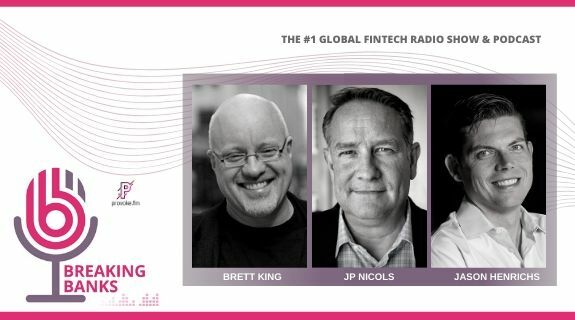 Brett King's Bank 3.0 vision of a branchless future may be a ways off, but there is no arguing his belief that 'banking is no longer somewhere you go, but something you do'. In other words, while not branch-less, we are definitely moving to a less-branch distribution model. As a result, retail banking and credit union executives will be focusing on 'smart-sizing' distribution networks in 2014, closing offices, shrinking footprints and integrating new technological breakthroughs to digitize transactions without dehumanizing interactions. Sherief Meleis, Managing Director at Novantas concurs that a new round of cost reduction is coming in 2014, with banks turning to more fundamental transformation, particularly in retail distribution. "Banks will begin to figure out how to achieve 'perceived convenience' much less expensively than in the past." P. Andrew Will also believed branch automation pilots will become more prevalent in the coming year, improving the integration of systems and platforms. 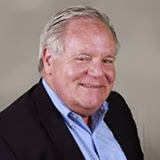 "Branch transformation has already moved from talk to action, albeit in a small minority of banks and credit unions, states Bob Meara, senior analyst at Celent. "The efforts will pick up steam as growth in mobile banking usage and the resulting inexorable erosion in branch foot traffic leave banks with no choice." He also predict that mobile RDC will be offered by nearly a fourth of U.S. financial institutions by year-end 2014, while he doesn't see significant growth in other mobile photo apps. Sam Kilmer, senior director at Cornerstone Advisors predicts, "At least a dozen banks will announce significant branch network realignments under the guise of technology and customer experience next year, but under the covers, most of them will be largely about distribution cost take outs." 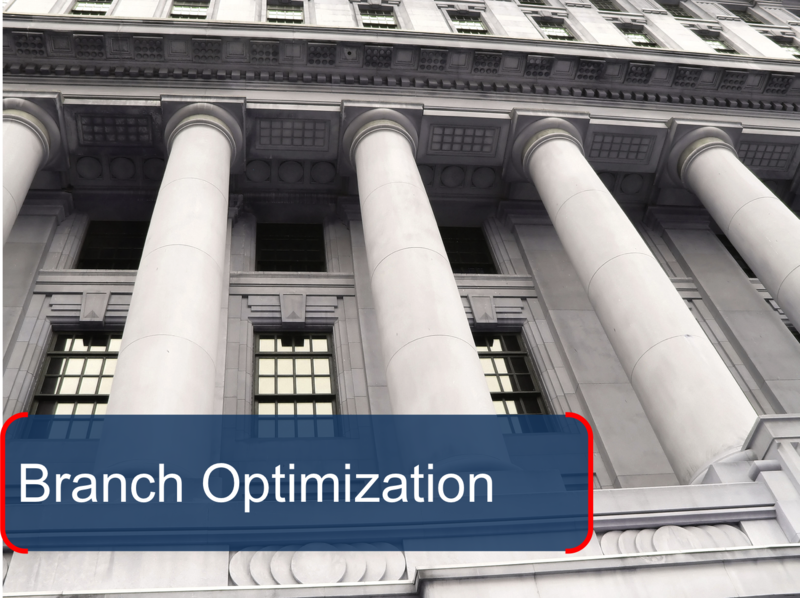 The branch reduction efforts have not just occurred in large financial institutions. Dominick from Bank Director mentioned, "I'm hearing that more community bank CEOs are thinking about – or actually closing – branches due in part to mobile's impact." Jim Perry, senior strategist for Market Insights, Inc. also expect that 2014 will be a year when many smaller institutions stop wringing their hands about the “future of the branch” and actually develop strategies for the incremental evolution of their branch network and delivery channels. The impact of regulations and costs related to 'keeping up' will even push some credit unions and smaller banks to consolidate and/or close at a faster pace than in 2013, according to Sarah Cooke from the Credit Union Times. George Hofheimer, chief research and innovation officer at Filene Research Institute concurred, reiterating that the cost of regulations will force more organizations to gain scale through consolidation. Closing offices doesn't come easily, however as mentioned by Jeff Marsico, EVP of the Kafafian Group. "I think the decline in bank branches will challenge financial institutions to minimize customer attrition and maintain their community commitment to those locales affected by consolidations. This will require a disciplined and multi-channel approach that includes media (traditional and social), participations in community organizations, charitable giving, lending, and a strong digital distribution platform." Alternatively, Patricia Hines, director of financial services industry marketing for GXS sees a geographic expansion of global and super-regional banks. The importance of moving the sales process out of the branches is more difficult than moving transactions as many banks and credit unions have seen. David Hodgkinson, principal advisor for KPMG in the U.K. agreed, saying, "As mobile banking adoption accelerates, banks will need to work harder to develop non-intrusive sales techniques through this channel or risk losing cross-sales opportunities as customers shift much of their online and in-person banking to mobile." "Banks will start to offer video-based services for higher value, complex sales such as mortgages and investment products," Hodgkinson added. "Expect to see second screen usage to sit alongside the video call – so customers can review the numbers on their ipad while conversing with the bank agent through their SmartTV," David M. Brear from Infosys and Accenture also believed that banks will begin to invest heavily in video conferencing capability to maximize the use of existing staff. Sophisticated targeting of marketing messages within the branch based on improved cross channel customer data. Use of geo-fencing to provide highly relevant and location based offers and to lure customers into the branch. Novel uses of technology to start conversations — Use of augmented reality to prompt sales demos. 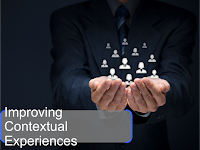 Customer 3.0 is digitally connected, highly informed and demands a highly personalized approach in their communications, their products and the service they receive as referenced in a recent Bank Marketing Strategy post. This customer begins their bank and credit union product shopping experience at their desk, in their car or on their couch, relying on friends and family reviews and published reviews across social media channels. Instead of walking into a local branch office and sitting down to open an account during banking hours, these customers purchase their banking services much like they purchase music, books or other products . . . online, 24/7. The bar for engagement is set high for these customers, since their frame of reference are the best digital retailers and social marketers. Neobanks and banks with a simplified mobile-first strategy are the strongest competitors for these customers. Scott Bales, Director of User Strategy, Innovation Director for Next Bank and author of the soon to be released book, Mobile Ready reminds bankers that digital natives, the same age as Google, will begin to need banking services and that their vote on providers will be a huge leading indicator for industry shifts for the next decade. "When implementing a mobile-first strategy for the digital consumer, banks will need to be sure to include the same service fundamentals that were found in staffed branches, recommended Wade Arnold, founder and CEO of Banno. "Effectively migrating customers to a unified mobile solution that will last requires support at an individual level; anything less is a transactional commodity and will simply be viewed as replaceable by these connected customers." According to Arnold, "The bar has been raised for mobile self-service to satisfy more than OLB parity. In 2014, organizations will have to provide improved levels of individualized engagement and simplified consultation. If done well, institutions will be rewarded by gaining intimate customer knowledge that can be used to improve revenues and communication. Once we get there, our industry will never be the same." "As non-bank competitors continue to materialize, banks will discover their entanglements to antiquated and siloed core systems along with a lack of agility in utilizing data, will present quite a challenge in 2014, according to Mike King, founder and president of Bankwide. In order to manage customer information more effectively, banks will begin to eliminate both human and insight silos by integrating data, systems and processes across different product lines. Moving to a service-oriented architecture (SOA), data will be shared and leveraged in real-time on all of the bank's touchpoints, allowing the bank to provide more personalized service based on a complete customer profile. "The single biggest priority of 2014 should be innovating in a customer-first and lean startup manner." stated Mark Zmarzly, business development executive of Deluxe Corporation. "Too often banks have made product-first decisions that are designed to solve the bank's profitability problems instead of the consumer's problems. Then the bank wonder why adoption is in the low single digits." 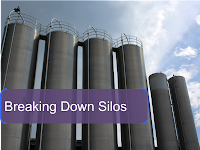 "Instead, banks need to understand current customer financial product problems, break down current silos and build a pilot project to solve, test in beta, and measure the results. Then repeat. 'Build, measure, learn' is the lean startup mantra, and it works," continued Zmarzly. David Sosna, founder and CEO of Personetics predicted, "Some leading banks will try to move from a product approach to a customer focused strategy especially in the digital channels. 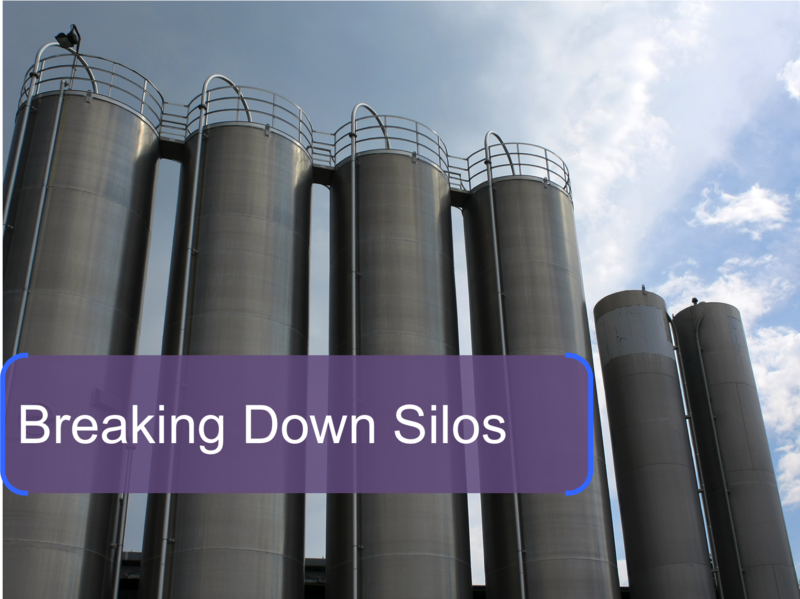 FIs have been 'talking the talk' for a while and now a few will be in the position to execute on that strategy as silos are eliminated.". In 2014, we'll start seeing banking examples of cross-channel experiences, driven by insights and powered by channel analytics, according to Danny Tang, worldwide financial transformation leader at IBM. "The leaders in the industry will eliminate silos, starting the convergence of mobile and online banking and building a linkage between the digital and physical channels. Conversely, the laggers will unfortunately realize that a siloed mentality and the lack of multi-channel platform is an inhibitor to success." Mike Bartoo, regional manager for Marquis challenges financial marketers to go beyond just advertising and branding and to break down data silos. "Hopefully, we’ll see the trend of actually USING insight from across the organization to drive revenue. While it is great to have the insight, it's more valuable to use it." At a time when everything around us seems to becoming more complex, consumers are searching out those products and companies that can simplify our lives. 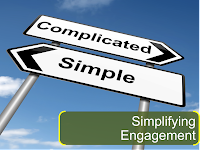 But it's important to recognize that simplifying an interaction with customers does not mean that the underlying product or service is simple. Instead, the key is to rethink as opposed to append and look for ways to eliminate steps, paperwork and processes that overly complicate. 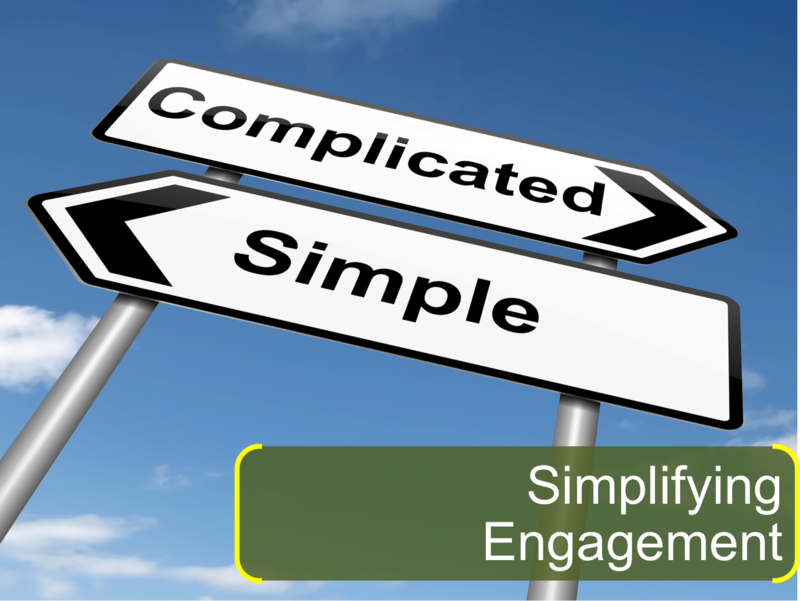 In 2014, financial institutions will begin to realize that simplicity is mutually beneficial to both customers and the organizations. Not only will those firms that simplify see improved trust and loyalty, they will also realize savings from redundant and outdated processes, reduced customer inquiries and fewer refunds and reversals. Jin Zwicky, vice president of experience design at Singapore's OCBC Bank and publisher of the Designful Co. blog that focuses on simplicity in financial services, told me in an interview that, "Simplicity is the 'forever' black". Brett King agrees with Jin when he said, "Removing friction will become the catch cry of 2014 though – whether it is a real-time core system replacement, or trying to get application processes streamlined, the big push will be for simplification of the engagement." Beyond mobile deposit capture, Kofax and Mitek have taken mobile simplicity to a new level by leveraging the photo taking capability of a mobile device to eliminate keystrokes, simplify applications, facilitate bill payment and account transfers, provide digital security for documents and validate customer information. Both firms also say new simplified processes are on the way, making mobile banking easier and even fun. Some additional ways banking will be made simpler in 2014 will include voice and gesture recognition, multichannel video chat, branch-based digital billboards and real-time spending updates via a customer's mobile device according to Accenture. Penny Crosman, editor for The American Banker agrees that simplification and innovation in mobile banking will continue – with voice recognition and video conferencing potentially becoming part of many banks’ apps this year, as well as contactless payments. Responsive web design will also become more prevalent in 2014 according to Melanie Friedrichs, contributor to Bank Marketing Strategy and analyst for Andera. Finally, as Jill Castilla, EVP of Citizens Bank of Edmond mentioned in an email to me for this post, even compliance processes will be simplified with new decision tools that allow bankers to better assess adherence to new regulations. According to Aite Group senior analyst, Ron Shevlin, a new type of marketing will emerge in 2014 — activity-based marketing — or marketing within the context of an activity being performed by a customer or prospect. There are a number of examples of financial institutions already doing activity-based marketing: 1) USAA’s Auto Circle app; 2) Commonwealth Bank of Australia’s home buying app; and 3) Caixa Bank’s ticket-purchasing app. The common threads in the examples is the creation of a new point of interaction for banks based on the context of the interaction. Activity-based marketing changes the point of interaction for banks, moving that point much closer to the identification of the need or want for the product or service using advanced customer insight. As Bradley Leimer, vice president of Mechanics Bank wrote in his great American Banker article, There Will be Blood: The Era of Engagement Banking, "Delivering contextual financial services with beautifully crafted interfaces and experiences is becoming a necessity to maintain relevance with the digital consumer." To achieve this, banks will focus on personalizing engagements with a wider range of insight, going beyond demographic and account level data to include transactional, locational and social insight. In the coming year, new location-based merchant-funded reward platforms will emerge that improve the targeting of offers and social media channel insight will be used to improve service and delivery. Finally, banks will continue to improve real-time alerts and notifications that will strengthen loyalty and engagement. According to Brett King, "The new skills we’ll see in demand in 2014 include Data Scientist and User Experience specialists . . . more around trying to build great contextual revenue opportunities, not ad campaigns." "Digital channels will mature from being transactional to being engaging in the coming year," stated Nicole Sturgill, research director for retail banking at CEB TowerGroup. "Financial Institutions will also focus more on developing the channels to improve customer service and to help customers better manage their finances." Fred Hagerman, chief marketing officer of Firstmark Credit Union, believes that organizations need to focus on the mobile, online banking and lending experiences in the coming year since these are the primary areas of 1:1 contact between the consumer and most banks. Both Hagerman and Hofheimer from Filene also believe that organizations need to make sense out of the mountains of data within their firewalls to improve the customer experience. Gertjan Reinders, senior IT manager for ING Bank in Amsterdam concurred when he offered, "2014 is all about being data-driven—not just in marketing and sales, but within the entire organization. 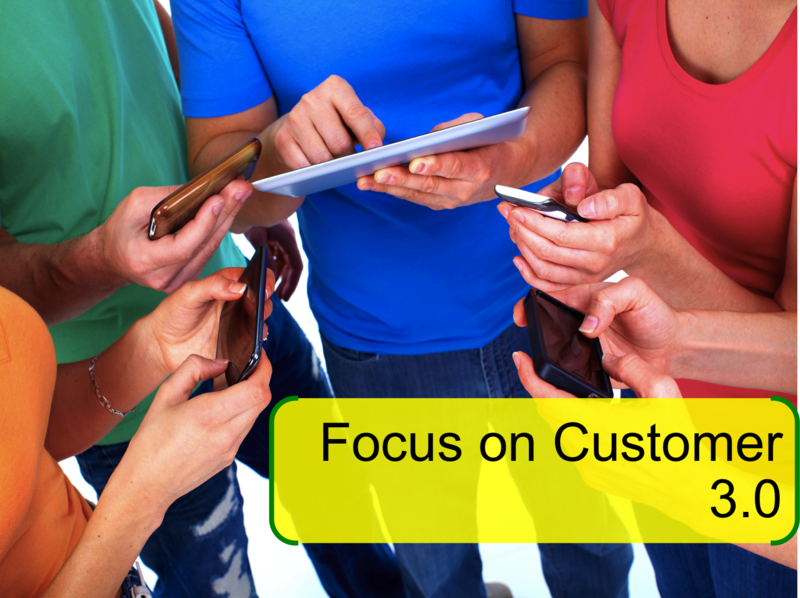 For improving the customer experience, big data will become more of a game changer." "Banks will get serious about using analytics to assess customer interactions across channels in 2014—to identify needs, trends and complaints and take corrective actions to improve customer experience and increase satisfaction" predicted Jenni Palocsik, marketing director of retail financial services at Verint. "We’ll also see 'Identity 2.0' emerge as FIs learn how to combine voice biometrics plus data science in their evolving models to more accurately detect and reduce contact center fraud." Steven Ramirez, CEO of Beyond the Arc agrees that the mobile banking experience will rise to the top of the strategic agenda in 2014. "Simply having a mobile app will not be enough. Leaders will re-architect the relationships they have with customers using mobile to provide personalized offers and mine the data to further increase the effectiveness of the platform." "The most successful credit unions and banks preparing for business in a digital economy will begin to focus on optimizing their digital user experiences built upon a marketing automation platform to target, capture, nurture and convert leads within the market segments they have identified," predicted James Robert Lay, CEO of CU Grow. He also is a strong believer that financial institutions will expand their use of personalized digital and video content in the coming year. 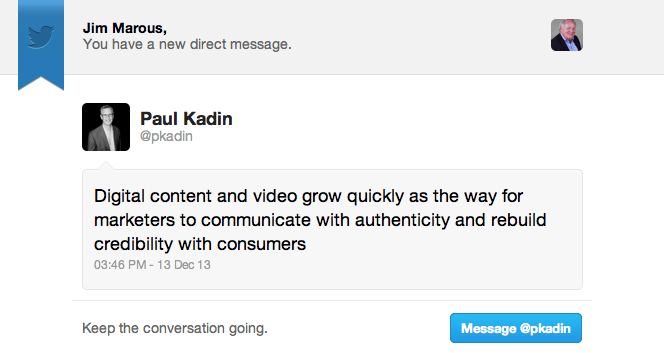 Paul Kadin, financial category development officer for AOL agrees that the importance digital content and video will increase in 2014, as mentioned in his recent tweet. Scott Bales goes a step further, saying that user experience design and Design Thinking will shape not only the mobile experience, but a bank's web site and product development as well. James Anthos, SVP of BB&T may have summed it up best when he said, "As banks focus on the holistic client experience in 2014, no matter what the channel, banks can create an environment that fosters constant connectivity between them and the client, which should allow for deeper relationships, bigger share of wallet, and increasing confidence of the client in managing their finances." 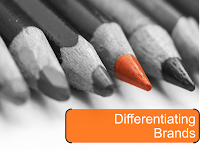 In the Financial Brand blog post written by Simon Clough, Partner and Group Board Director at U.K. based Clear, it was accurately stated that "Consumers view most banking brands as undesirable and wholly undifferentiated". The digitalization of the industry is further commoditizing our brands, with fewer face to face interactions limiting our ability to set ourselves apart. That's why Clough's battle cry of 'Differentiate or Die' has never been more relevant. 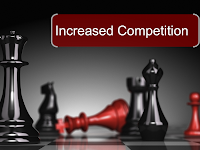 Banks and credit unions will begin to find ways to stand out in a crowded competitive marketplace in 2014, leveraging all channels to make their message heard. "The most significant driver of improved results in 2014 will be the ability of leaders to manage through ongoing, ever-changing regulatory changes to focus on key customer segments with innovative products, new technology and exceptional customer experience across all channels," stated Debbie Bianucci, president and CEO at BAI. "Leaders who can balance innovation and customer experience with the pressure of regulatory compliance will differentiate their brand and win," she added. JP Nicols, CEO of Clientific and co-founder of the Bank Innovators Council predicts that many banks and credit unions will continue to pull the familiar levers of price and promotion to drive new business in 2014, which will put further pressures on already compressed margins. Alternatively, he states "The winners will be those institutions that differentiate their brands by innovating new client experiences and leverage better targeting and segmentation." 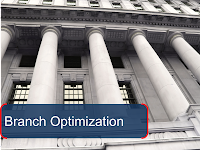 New and/or improved products can also help differentiate banks in 2014. "We will see a massive growth in online and mobile banking in the coming year," stated Hansjörg Leichsenring, Germany-based consultant for Meniga. "More and more banks will adapt tools like Personal Finance Management (PFM) to improve their brand, increasing retention and loyalty and to keep their customers away from independent new players in the market. As a note to financial institution marketers, John Mathes, director of brand strategy at Weber Marketing Group, warned, "More banks and credit unions will realize that most of their marketing content is just noise and they will embrace the art of storytelling to help differentiate their brand in the crowed and commoditized world of financial services. 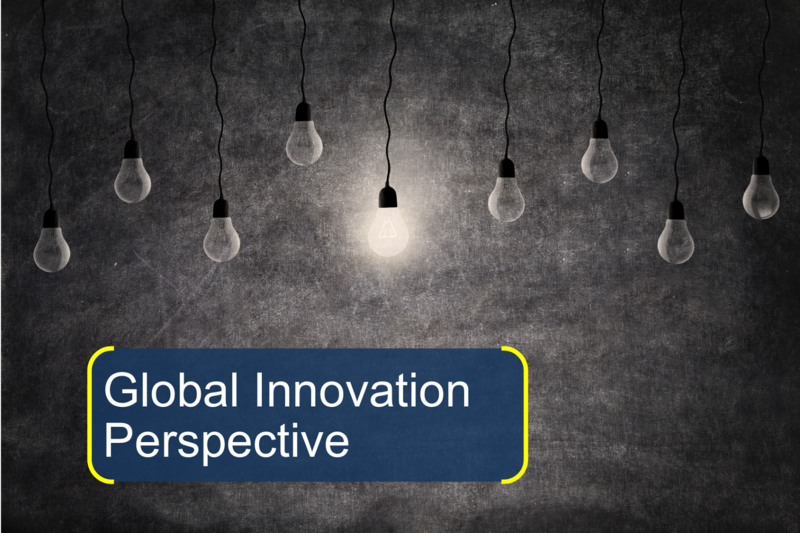 As I mentioned in my November post, Banking Innovation: Not Made in the U.S.A., some of the most exciting (and award winning) innovations have been occurring in the Asia Pacific and Eastern European regions as well as the unlikely regions of Africa and South America. Beyond unique mobile and online banking applications, banks in these regions have developed entirely new ways to structure a financial institution and deliver services to customers. Banks and credit unions will begin to look beyond our shores for innovative ideas in 2014, learning from overseas organizations that in some cases are far ahead of our domestic offerings. "This year's study of bank innovation indicates a global convergence of innovation practices around overcoming the barriers presented by legacy technology and ensuring that customer experience is optimized," stated Patrick Desmares, secretary general at Efma. "Many retail banks are now creating innovation strategies by looking in other regions and underpinning these strategies with increased investment." Edward Chatham, managing director of Mapa Research reinforces this viewpoint as the demand for his company's global online and mobile banking research continues to escalate. "More banks are realizing that innovation is being done beyond their own borders. In fact, some of the most interesting innovation is being done in some of the least likely places in the world." Finally, JP Nicols from the Bank Innovators Council shares, "Banks in the U.S. need to raise the periscope and take a broader look for inspiration. There is some great innovation going on all over the globe, and too many banks here are only focused on the incremental moves of local competitors." On January 2, I joined Chris Skinner on Brett King's Breaking Banks online radio broadcast to discuss what may be in store for us in 2014. Below is a link to this one hour show. I would like to take this opportunity to thank the dozens of individuals and companies that assisted in the development of this annual report. The insight shared and the continued support of this effort is greatly appreciated. I would also welcome any comments or discussion around trends believed to be missed or shortchanged. Nobody's perfect, and it would be great to receive even more insights for the readers of this post. Definitely a challenging undertaking but well worth the time because of the amazing insights and perspectives received. Unlike past years, this year had significant consistency in all global regions despite regulatory differences. I can't imagine trying to do this type of effort with a book like you, Chris and others have done. Thanks for your insight. As you mention, the minimal attention given the "unbanked" is a surprise. 30M plus consumers in the USA alone lacking ANY banking relationship cannot be dismissed. Thank You for this! Jim, another amazing write up. So much to absorb I had to read it multiple times, with intermissions. 2014 will be a key year for the industry as the behaviour, culture and nature of the customer continues to evolve. I think one of the key limitations of the incumbents is they see everything as 'silver bullet' technologies, or 'magic' new channels, but forget that banking is not about technologies, channels or even products. It's about how we all use money to empower our lives. The truly amazing thing is most traditional bankers have forgotten 'why' we have and need money. Understanding 'why' is a key reason startups tend to lead the pack. Can banks wake up in 2014? Or will they continue to leave the door wide open for innovators and disruptors? Jim, this blog post is full of great stuff. Thanks for doing this again this year. 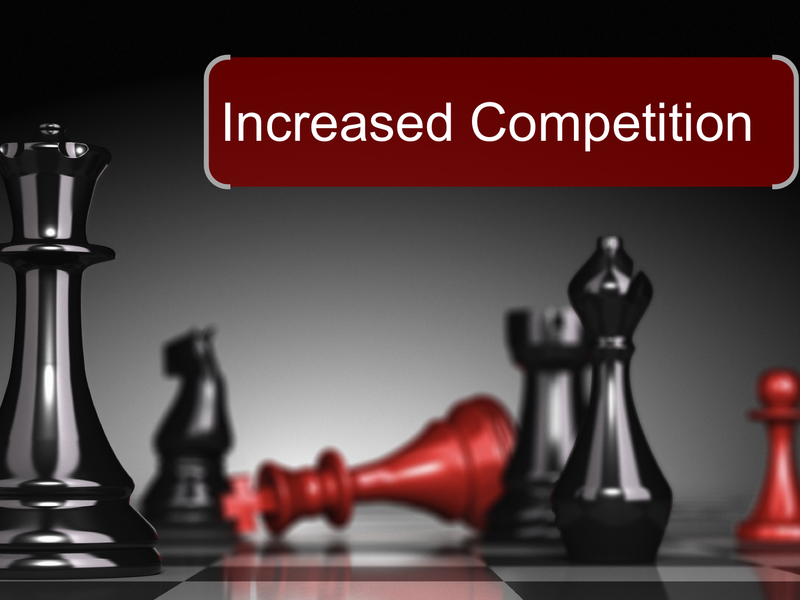 A very important component of every successful business is finding ways to generate revenue. After the mistake of unqualified free banking, banks need clearly communicate new products and services and the associated costs to use these services. Enhanced service offerings around mobile and the web are great place to make this happen and Brett nailed this one. Brett's other point, the emergence of "Drive-to-Digital," is a good one as many banks and credit unions have yet to test these waters. His best quote is "finally we’ll start to see a concerted effort to revenue fulfillment digitally." I can not agree more. 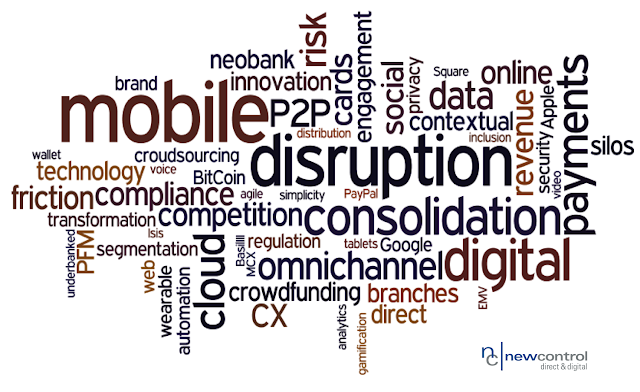 Disruption will continue in retail banking and business banking. The disruption will not be from start-ups or neo-banks. The continued disruption will be from the biggest banks. They will continue their growth as they have over the last few years. Banks will continue to build physical locations in 2014. I do not mean retail bank branching, that will continue to decline. What I am talking about are those physical locations that house business and commercial relationship teams. Some will be official branch locations if they accept deposits but many will simply be office space. This type of expansion for banks has been very lucrative since the recent economic woes. That is my three. I hope to see others post theirs. With all the trends that happened last year, your predictions look on point and will most likely happen. That's really a lot of information shared here. I really liked reading this post.